Early each year SikhNet, in its role as a non-profit corporation, publishes its annual report online so that the previous year can be easily summed up all in one place. Here is the official annual report of SikhNet's activities, growth and status during the 2008 calendar year. 1. Letter from the C.E.O. For several years SikhNet has been struggling with the limitations of our old Web site infrastructure. Each year we talked about creating a completely new SikhNet Web site, and finally in 2008, we were able to do something about it! “SikhNet 2.0” made its debut in May 2008. The new Web site features easier navigation along with many new features and a completely new look. Amidst increasing global awareness of Sikhs in 2008, the media, as usual, focused mainly on the negative — crimes. SikhNet chose consciously to search out and feature the successes and the seva of Sikhs around the world. Our motto is: “Good News — Good Will” meaning that the more we highlight the successes and good work of Sikhs everywhere, the more we can help create good will towards Sikhs everywhere. Constantly seeing these little ways in which so many lives are touched and transformed by SikhNet moves me personally and amazes and inspires me every day, making me feel ever so extremely blessed and grateful to have been chosen by my Guru to participate in this seva. In 2009, SikhNet is focusing on the creation of new ways to reach an even wider audience and serve it better than ever. Among many projects, this includes bringing SikhNet to mobile phones and other mobile devices through SMS and SikhNet mobile applications providing modular content you can integrate with your own computer desktop, phone or web site, along with a redesigned more friendly Gurbani Library section, which will make Gurbani much easier to find, forward and download. You'll even be able to upload your own tracks to the SikhNet kirtan library. To all of the SikhNet family and SikhNet supporters, I say let us continue to work together this year to bring the modern, practical message of the Guru’s bani and the lifestyle of Sikhi to more and more people everywhere to help build a better world for the coming generations. It’s a team effort, and YOU are part of the SikhNet team. Thank you! • A strong focus on video content with featured videos on the home page. • Drop-Down navigation bar makes the navigation more consolidated so you don't have to keep scrolling down the page to find what you want. • Wider page orientation geared towards modern technology. Most people have higher resolution monitors and are viewing the web by 1024x768 or higher rather than the old 800x600. In 2008, as thousands of our brothers and sisters gathered at Takhat Sachkand in Hazoor Sahib in October to celebrate the 300th anniversary of Guru Granth Sahib, SikhNet, working with Sikh Dharma International, had the blessing to be able to share the joy of this timeless celebration with our global sangat in “real time” through Ek Ong Kaar Kaur’s live daily audio reports and Sat Sundri Kaur’s unique and beautiful photos. Since its debut in 2006, the SikhNet Youth Film Festival has become an annual event. Most people in the world don't know who Sikhs are and what we are all about, nor have they experienced our love of Seva and our Cherdi Kala spirit! This unique event is a great way to spread the living experience of Sikhi and Sikh identity to give people the experience of our spirit, values and culture. Our intention is that this educational and fun event will allow many people to get involved in the world of film and media and continue explore its benefits to the Sikh community. Film Festival winners from previous years like Angad Singh and Jasmeet Singh have gone on to have their films shown on television as well as having them screened at other film festivals around the world. SikhNet Film Festival entries are now being aired on TV in UK and India through Brit Asia TV and Channel One. 2008’s competition was unique in that it was Webcast in real time on “SikhNet TV” to audiences around the world. Viewers from Canada to Australia joined hosts Guruka Singh and Gurumustuk Singh on the virtual “red carpet” along with SikhNet guests and shout-outs from some of the young filmmakers themselves. • Why Live the Sikh Lifestyle? During 2008 SikhNet made available for sale online the first five volumes of our “Inspirations” DVD sets which had previously been available only as gifts to SikhNet supporters. Also SikhNet produced and released Volume 2 of the SikhNet Gurbani CD collection, debuted the “hold your own SikhNet Film Festival” concept with the new “Film Festival in a Box” kit, and released the 2008 Youth Film Festival DVD. Firstly I just want to say that you and your team with God’s grace have done a excellent job with the videos. I first started watching Guruka Singh and i couldn't believe what I was watching... someone who I could not just 60% understand but someone who I could 100% understand. He has changed my life as I have learned a lot, and the great thing was that God gave me the answers through these videos. So from my excellent experience I wanted to share it, just like Guruka Singh says; You should share your experience... so I started showing my family and friends these videos. Before I knew it, everyone wanted these videos. Since its inception, one of the main goals of SikhNet has been to provide resources for our youth/children so that they have the tools and resources to become more spiritual individuals; able to cope with life in these modern times, yet living with strength in their identity as a Sikh. The new Audio Stories section on SikhNet made its debut in 2008. It is oriented towards younger Sikh children (around 5-12 years old). Most parents know the challenge of educating our children about Sikhi, which can be hard in these busy times where it is common for both parents to work all day away from the kids. Many have less and less time to spend with their children (particularly to teach them about Sikhi). SikhNet’s all original audio stories section aids this by creating new ways for these young ones to get inspired and into Sikhi through stories. I know as a parent I would rather have my kids listening to fun and interesting Sikh/Spiritual stories then playing a video game or watching television! There is currently not very much Sikh media content freely available for kids, and our hope is to fill the need by starting this one project, and then expand into other projects as resources become available to fund the projects. The new audio story section is organized so that you can browse through the different stories in many different ways. You can listen to the stories right on the website or download them freely to your computer or MP3 player. These stories will also become available on audio CD so that non-technical people can enjoy them in their home and in the car when traveling. The new SikhNet toolbar for your web browser made its debut in November 2008. This great new tool allows users to keep up to date with the latest SikhNet content all in one place, without having to find it on SikhNet directly. There is also a small little audio player in the toolbar that allows you to tune into all the SikhNet Radio Channels, the latest Sikh Audio Stories, the Gurbani Randomizer as well as Live Kirtan from Gurdwaras all around the world. Other features include an ability to search SikhNet and SikhiWiki directly from the toolbar. It only needs to be downloaded and installed one time because improvements made to the toolbar will automatically get installed for you. Another feature SikhNet added this year is the “personalized home page” called “My SikhNet” which allows you to create your own, personal gateway to the world of SikhNet. Let’s say you like to see the Daily Hukamnama first, followed by the daily news, and then move on to the SikhNet discussions forums. Whatever your preferences are, you can customize SikhNet so that it appears just the way you like it. Just click on the “My SikhNet” link at the top of any page on the Web site. Rather than having to explore the SikhNet Web site to find the things in which you are interested, you can subscribe to SikhNet’s live feeds and have freshly updated content delivered to you automatically. RSS/News Aggregators (also called Readers) will download and display these RSS feeds for you. A number of free News Aggregators are available for download. Some aggregators are separate, "stand-alone" programs; other services will let you add RSS feeds to a Web page. Yahoo! users can add RSS feeds to your My Yahoo! Page and Google users can use Google Reader to have these feeds delivered. As part of SikhNet 2.0, we added a new sponsorship system that allows individuals, companies or organizations to have their own banners on the SikhNet Web site with a message in recognition of their sponsorship. These banners can be shown throughout the SikhNet website on behalf of a company, an organization, or to honor an event or person in one’s family or community and it can contain a link to any desired Web page. Sponsorship allows members of the SikhNet family to promote their cause and helps SikhNet to continue providing its services to everyone for free. SikhNet offers special discounts for non-profit events such as Sikhi and Gurmat Camps. Becoming a sponsor lets thousands of people know about an upcoming event or activity. SikhNet works with sponsors to come up with pricing options to fit within each sponsor’s budget. I was born into a Sikh family (and thank God for that :) but never really understood what it meant to be a Sikh.. All I knew was that I had to wear a turban and not cut my hair.. Nobody in my family is very religious, except my grandmother.. And then came Sikhnet and MrSikhnet.. Ever since, I've seen an immense change in me.. I don't do my paath regularly yet, but the impact that the lectures of SSS Yogi Bhajan ji, and Guruka Singh ji have had is very, very unexpected. And more change will follow, thats a promise. You my brother, have given me something I never thought I would crave for inside.. Honestly, I don't have words to express my feelings at this time.. All I want to say is, Thanks a million, keep it up, you're blessed! you have inspired me so much, and mrsikhnet.com is my start up page every day. Wow!!!! Wow and wow! You must receive so many mails world wide of people like myself that are completly engrossed in what you do! I heard of you via word of mouth and the moment i was told about this website. I came on and now i think i am becoming an addict! I have always heard of MrSikhnet but never really gave myself the chase to fully understand and take the time to check it out! Your family and you seem so happy and peaceful and you are all stunners!! I would just like to say I think what you do is fantastic and I am not going to stop telling people I know about what you do! Thank you so much for working so hard on this website. I am a Canadian born Sikh, and at times there was no one to talk to, or anyone to answer questions on Sikhism and daily practices, I feel so encouraged when I come to this website (which i do daily), and thank you so much for your comments on welcoming all Sikhs with open arms. I do cut my hair, but I do paath each morning and know that I have a tight relation w/Waheguru, and also thanks to MrSikhnet, I have let go of guilt or any bad thoughts that hold me back from reaching my goals, i have made a little corner in my room for prayer each morning as suggested in one of the Sikh Youth Q&A's. Thank you sooo much! May Waheguru continue to give kirpa and blessings to wonderful people like you and your entire team. I appreciate what you and Gurumustuk Singh Khalsa are doing with this website, giving a better understanding of the Sikh faith and way of life. 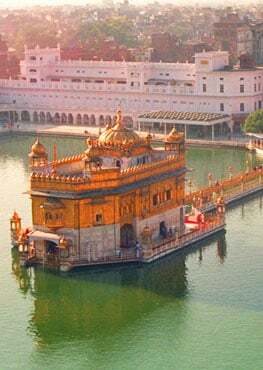 I know a lot of Sikhs visit this website, but it is my hope that non-Sikhs see this as well and learn more about your beautiful faith that I want to further incorporate into my life, wherever that may lead me. Thank you again for all your hard work, and all your help and guidance. Thank you for the time, the thought, the purpose, the mission - a personification of God's destiny! Thank you for the words that carry a sensibility of a sentiment far truer - a universality of Love transcending all space and time to Be... Thank You! SikhNet saw about a 10% growth in viewership in 2008 over 2007 with over six million site visits and about two and a quarter million unique visitors. This demographic analysis correlates with 2007 viewership. This summary shows SikhNet's financial status and activity for the calendar year 2008. Note: SikhNet is a limited liability company, whose sole member is Sikh Dharma International. As such, SikhNet LLC does not receive any funding from any other entity or organization. SikhNet is wholly funded by its own activities and the generous support of the SikhNet global community. As a 501.3c entity, contributions to SikhNet are deductible charitable contributions for residents in the USA. SikhNet is supported and maintained by sevadars other than the employed staff. These sevadars play a vital role in SikhNet’s success in the education and inspiration of spiritual and Sikh values. 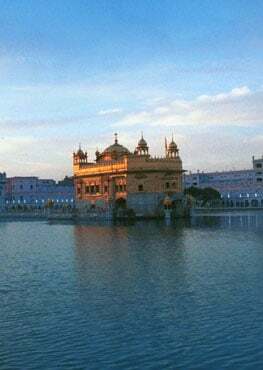 The English Audio translation and katha of the daily Hukamnama (From Sri Harimandir Sahib, Amritsar) was started as a way to give our world-wide Sangat the Siri Guru Granth Sahib in a more understandable way. It is translated into common English. This seva is done by Sukha Singh Akali, our inspirational Nihang brother from London and Ek Ong Kaar Kaur Khalsa. Many people log in each day to hear (and read) the word-for-word translation of the Hukamnama. The translations are very inspirational and make it easy to understand the message of the Sri Guru Granth Sahib. We feel this is a great thing especially for the youth to understand more about the Bani. The audio translation is posted every day, and then five sevadars from around the world take the time to transcribe each lecture. This is a very time-consuming and committed seva done by sevadars who wanted to remain anonymous, but their contribution cannot be overlooked! Have you ever visited Wikipedia.org? This is a web based encyclopedia just for Sikhism written collaboratively by many of its readers. There are lots of readers who have contributed making and editing articles and in essence creating all of the content of Sikhiwiki.org. Sikhiwiki has in a short time become a huge resource for all subjects relating to Sikhism – biographical, historical, stories, beliefs etc. Hari Singh from England is the chief SikhiWiki sevadar and he has championed this endeavor by creating a sizable amount of content, being very active in moderating the site, and featuring articles to keep the site new and fresh. The SikhNet Youth Forum, live Chat and Discussion forums are the most popular on the internet. These serve as ways that Sikhs from all around the world can interact with each other in an educational and inspiring way. For many people the internet is their only sangat. Sevadars on these forums make sure no one is posting anything inappropriate or slanderous or material that is too controversial or provocative. Some of these sevadars have been serving diligently for over ten years, to keep our online interactions graceful and inspiring! In 2008 donations accounted for 65% of SikhNet’s income. In 2007 our income from donations amounted to 38% of our total income. More and more, SikhNet is being supported by users like you to keep up everything that SikhNet is doing, and can do in the future. Without our donors there would be no SikhNet, so our donors are our biggest support. Gurujot Singh is a cofounder of the Sikh Espanola Volunteer Association (SEVA), and a Kirtan and Bana enthusiast. He started working at SikhNet in April 2005. He has taken on the video development, interviewing and editing our SikhNet videos, as well as designing and producing much of the graphics you see on the Web site and helps oversee customer service with Loveleen. Guruka Singh founded SikhNet in 1984 as a computer bulletin board system before the internet as we know it was implemented. Guruka Singh has been with SikhNet.com since 2004. He is a teacher, writer and inveterate punster. He does management, administration, business networking, fundraising, communication and teaching. In 2008 he took over the duty of being News Editor. He is a source of inspiration to SikhNet staff as well as the entire “cybersangat”. He has been featured in over 70 SikhNet video interviews. Gurumustuk Singh made SikhNet from a hobby into a non-profit organization in December 1995. He lives with his wife, daughter, and son in Espanola, New Mexico and continues to develop the SikhNet website with the rest of the SikhNet team. You can read his Blog at www.MrSikhNet.com Gurumustuk Singh’s tasks include system administration, video creation, fundraising concepts, business networking, programming and application development, project management, and innovation. Loveleen Kaur is a college student who lives in Chandigarh, India. She has been working with SikhNet for all of 2008 having been trained virutally. She handles customer support for SikhNet.com and SikhMatrimonials.com, working half time mostly into the late night after her school schedule during the day.